Since 1960, the Ohio Local History Alliance – in partnership with the Ohio History Connection – has led the state in recognizing excellent projects, programs, publications created by Ohio historical societies and museums, as well as recognizing individuals who have contributed greatly to the field of history. 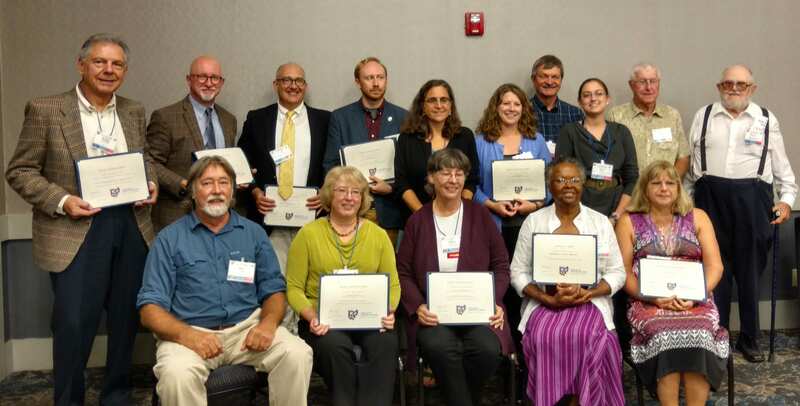 At the 2018 Annual Meeting, OLHA presented 11 Outstanding Achievement Awards that had have inspired connected, and educated their audiences in Ohio. Click here to read more about the winning projects.